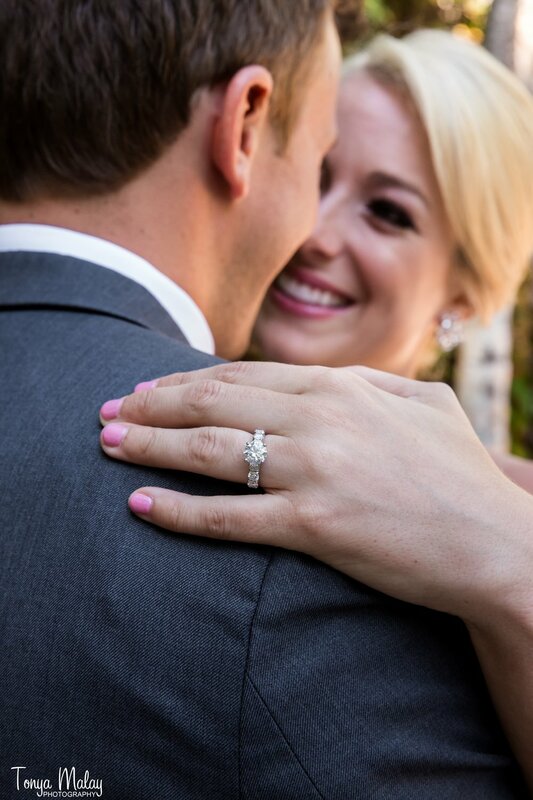 I had the pleasure of meeting Julie and Kyle in December of 2015 while they were in Naples for the Holidays, almost a year and a half before their wedding. I love when clients hire me in the very beginning so I am able to assist them with every vendor choice and detail. The couple was living in Charlotte NC for the entire planning process, but made frequent trips to Florida to meet with vendors. 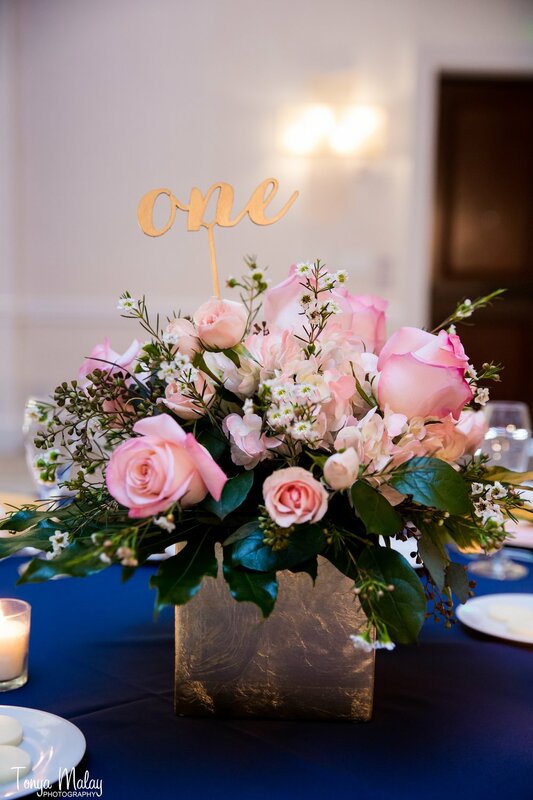 Julie's love for Kate Spade was very apparent in her decor from the invitations, to the table cloths, to the custom signage at the reception. Navy blue, gold, and blush made for fun but also romantic atmosphere. As most brides will find out, not everything always goes as planned. Halfway though the reception Julie needed a little more comfort for dancing, so I grabbed one of her "honeymoon" dresses for a quick change. It turned out to be the perfect reception/dancing dress. I wish Julie and Kyle the best as they start their marriage together.